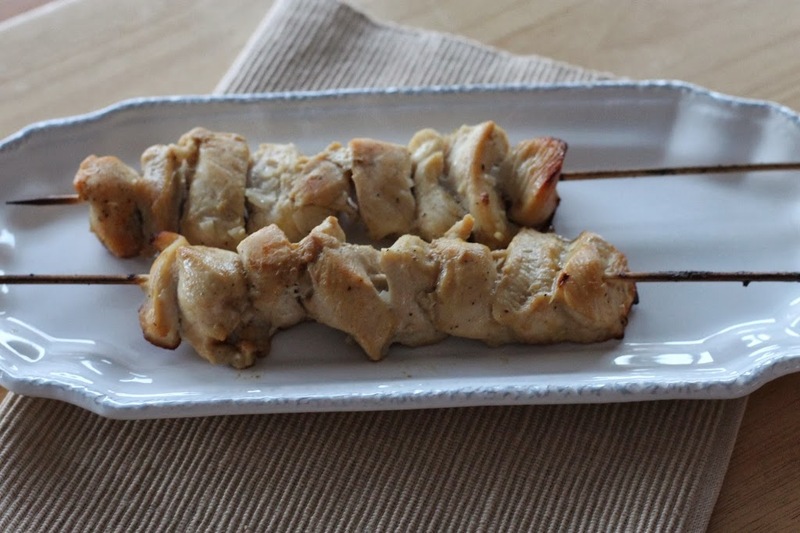 This is a simple recipe for chicken kabobs that are made in the oven and not on the grill. Maybe it is cabin fever, but I have had kabobs on my mind of late and since the back yard has about a foot of snow there is no way to grill. I marinated pieces of chicken for a couple of hours, heated up the oven, and put the chicken on the skewers. They were basted and turned a few times so that they cooked evenly and then at the end I turned on the broiler to brown them a touch more. Once they were done we served them over brown rice and topped them with a little soy sauce for a healthy dinner. I am not sure if it helped my cabin fever, but at least we were able to enjoy these kabobs and dream about summer when we can actually do some grilling. 1. In a Ziploc bag combine all of the ingredient except for the chicken. Mix ingredients until well blended and add your cubes of chicken. Let this marinate in the refrigerator for an hour or two. 2. Heat oven to 450 degrees F. Take a broiler pan and line with aluminum foil, brush with olive oil. 3. 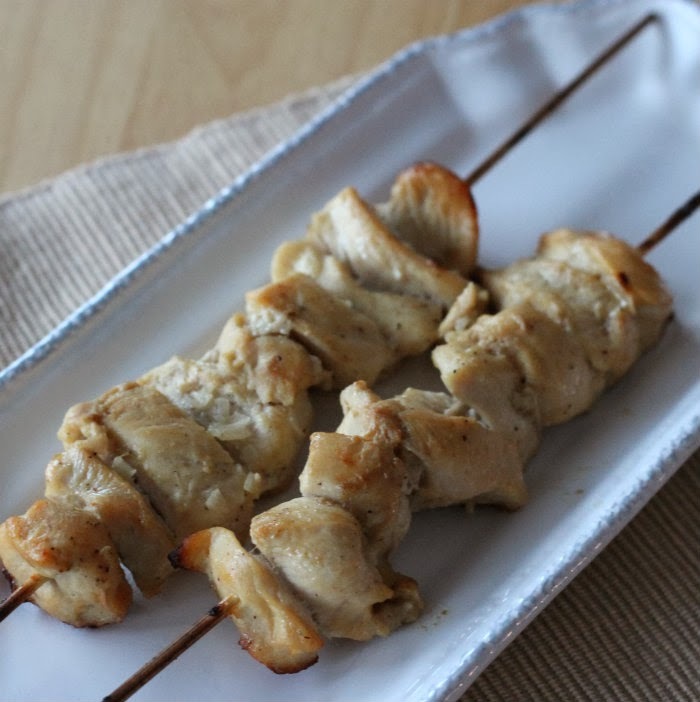 Remove chicken from the Ziploc bag and put on skewers. Baste with the remaining marinade and place in preheated oven. 4. Roast for 15 minutes and baste with marinade and turn over and baste this side. Return to the oven for another 12 to 15 minutes or until chicken is no longer pink. 5. Remove from oven and turn broiler on. Baste chicken and place on the broiler, turn as needed until chicken is browned. 6. Serve over rice and top with soy sauce. 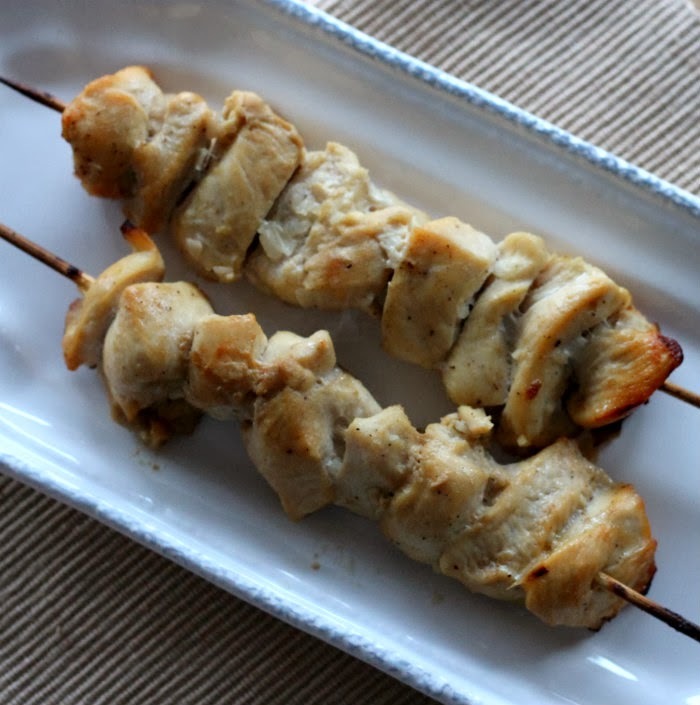 I make Chicken kabobs often on the grill in the summer. I use all different recipes and am happy to have a new one. The marinade sounds so delicious! I’m craving grilled foods now! These rock! This is a great remedy for cabin fever! And these do remind me of spring. Love the idea of doing these in the oven. Good stuff — thanks.